Morning Raptor Blind @ Santa Clara. For over ten years the Santa Clara Ranch has operated as a photography ranch. We have six photo blinds through out the property. Four are in-ground blinds and two are elevated blinds for capturing raptors. The four in-ground blinds are divided as two morning and two afternoon blinds. All four blinds are located in front of small waterholes and have feeding stations that are maintained year long. The blinds are lined with water resistant lumber, insulated roofs, carpet lined floors and spacey enough to accommodate up to 6-8 photographers. The photographer, sitting in a folding chair in the blind, will have his lens lined up at ground and water level waiting for wildlife to appear. The blinds have been very successful and improvements have been made through the years as new ideas come to mind. Photographers at one of our afternoon sunken blinds. Santa Clara also has two elevated photo blinds devoted solely to shooting raptors. These blinds have exceeded expectation with numerous raptors coming to perch at 35-40 feet away and the photographer getting his images at eye level with the birds. The background is not a bright sky but a muted green setting. We are constantly upgrading and improving our blind setups. This year one of our morning blinds was completely re-built to improve light, foregrounds and backgrounds, and shooting conditions. 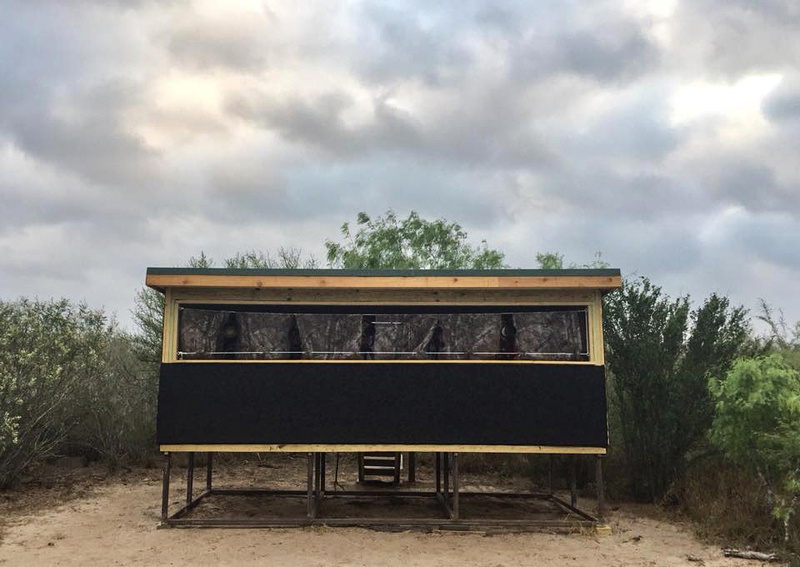 Our blinds give photographers ideal conditions to capture the South Texas wildlife that lives and migrates through the ranch.